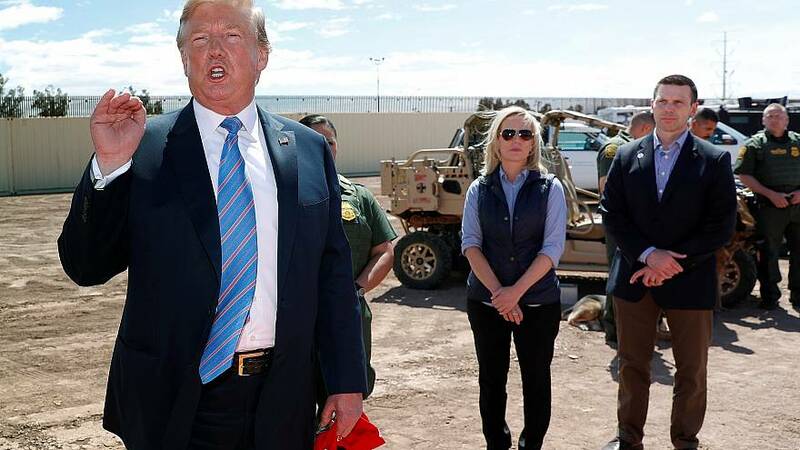 The paper, citing three people briefed about the conversation, reported that they spoke when Trump visited the border town of Calexico, Calif., last week shortly before he named McAleenan acting homeland security secretary. Earlier this month, Trump said he was"100 percent"prepared to shut down the U.S. border with Mexico to block an influx of migrants. However, he later backtracked saying that he would give Mexico one year to stop the flow of illegal drugs entering the U.S. before imposing tariffs or closing the southern border. The news comes after the head of DHS, Kirstjen Nielsen, resigned under pressure on Sunday night. NBC News previously reported that Nielsen had refused to reinstate the administration's controversial child separation policy — puttingher at odds with the president.